In the field of PR, mistakes do inevitably happen, and it’s always best to learn from them so that you don’t repeat them in the future. However, it’s much more desirable to learn from mistakes that aren’t your own! 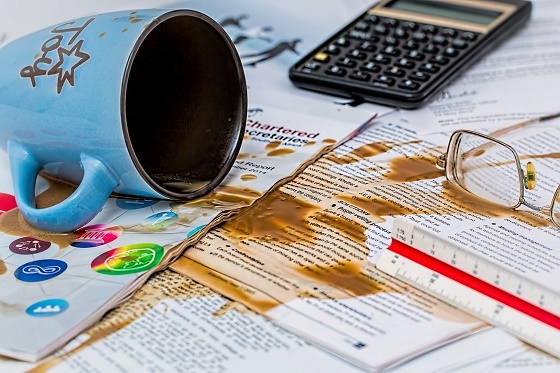 Here are some of the most terrible PR mistakes made by corporations and individuals over the last few years, from the ridiculous to the inexplicable – listed for cautionary purposes! Domino’s Pizza is one of the most popular pizza delivery corporations in the world, known for speedy deliveries and delicious food. When a YouTube video emerged of two of the company’s employees doing disgusting things while preparing pizzas for customers, there was a public outcry for retribution. Fortunately, the employees turned themselves into the police and were subsequently charged – but the PR damage will linger for a long time. Fitness supplement company, Protein World, received a lot of negative PR due to a highly unpopular poster campaign on the London Underground. The posters portrayed an extremely slim model next to the tagline: “Are you beach body ready?”. Many women felt that this campaign promoted unhealthy body images which led to the posters being defaced. The posters were subsequently removed after 50,000 people requested them to be banned on change.org! In a recent campaign, popular doughnut franchise, Krispy Kreme, celebrated the school holidays by encouraging children to enlist in its Krispy Kreme Klub full of entertaining activities and delicious snacks. Unfortunately, by referring to the Krispy Kreme Klub using the initials KKK, people immediately began to think about another organisation which shares the same initials: the infamous criminal/extremist organisation, the Ku Klux Klan. For the people of Ukraine and Russia, the 2014 annexation of Crimea by the Russian Federation is a pretty touchy subject to say the least. With a seemingly innocuous campaign, Coca Cola managed to thoroughly offend both nations and create a PR disaster. Initially wishing to wish Russian Customers a happy new year, the soft drink company released a Coca Cola-themed map of Russia to the internet, but Crimea was not included. After receiving protests from Russians on social media, Coca Cola republished the map including Crimea and also Kaliningrad. This received enormous backlash from Ukrainians with some people posting images of them pouring cans of coke down the toilet! The boffins at Microsoft used their expert skills to create an AI chatbot which would converse with internet users in real time on Twitter. Unfortunately, the experiment went rapidly downhill when malicious trolls uses started manipulating the chatbot’s language learning capabilities for their own perverse pleasure. It wasn’t long before the chatbot started spouting genocidal, racist and generally horrific things to the world. Some of the comments were only mildly offencive while the worst remarks would leave a rational person thankful that Twitter trolls are only a small representation of the human population of Earth. The chatbot has been taken down for maintenance – indefinitely. A Microsoft spokesperson said: “We are deeply sorry for the unintended offensive and hurtful tweets from Tay, which do not represent who we are or what we stand for, nor how we designed Tay”.